I would like to thank Karl from the Hire Department at Lightsounds, for the efficient service and good advice on which equipment to hire for my daughter, Emily’s, 19th birthday party, which was held at home ,including in the backyard. I hired 2 Wharfedale powered speakers which we were able to play music directly from an ipod. Also we hired 2 led parcans which were set to change colours with the music,and a water effect light, as well as using a minilaser, which gave a fast moving pattern of light dots on the side of the house. (We were careful to mount the minilaser so that it wouldn’t shine directly into any anybody’s eyes). 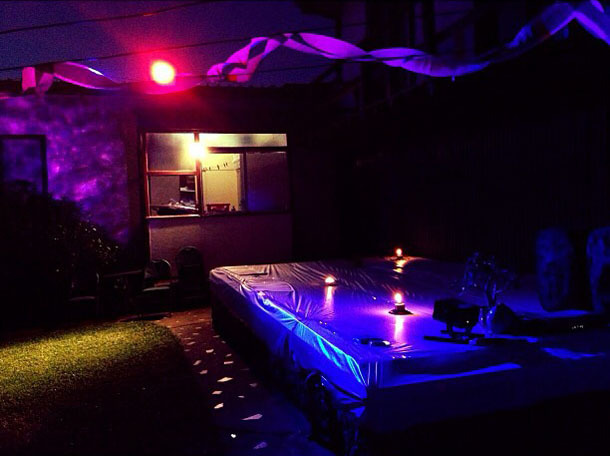 The lighting effect in the backyard, was spectacular, and it set the mood for an excellent birthday party. Thank you to everyone at Lightsounds for helping make my daughter’s party so successful.